This VIDEO of Priyanka Chopra HINTING about Nick Jonas is all hearts! 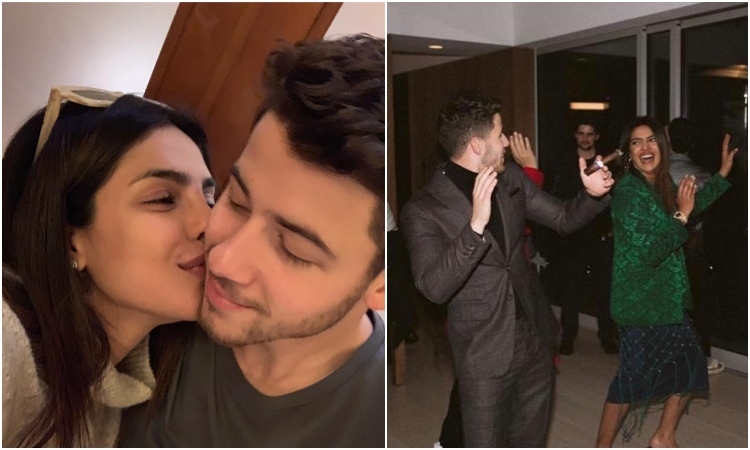 Priyanka Chopra and Nick Jonas are the most adorable couple of B-town. The couple has repeatedly given couple goals and we already love them. Anybody who has jotted down everything from their wedding for future references should also take these notes down because the newly-married couple has been cute and adorable all the time. Right from slaying their social media PDA, simple dinner dates and Swiss vacations- the duo makes marriage look super easy! The good thing is we now know how! The actress has finally opened up about their relationship and marriage at an American chat show and we are not surprised really. She said, "There's a big difference between husband and boyfriend. I didn't realize that. It's a good thing to be married to a good husband!" Wait, what!... PeeCee just hinted about Nick being the good husband? She certainly did! Aww, right? Not just that, PeeCee also spoke about their many marriage receptions and confessed she was kinda sorta "wedding-ed out". Well, Indian marriages, what can you say! On the work front, Priyanka will soon be seen in The Sky is Pink alongside Farhan Akhtar and Zaira Wasim and we can't wait for it! Tara Sutaria REVEALS she has a Crush on Siddharth Malhotra; VIDEO Soundarya Rajinikanth marries Vishagan in GRAND Ceremony!